Perfectly flavored chicken with some crunchy apples and green onions…all pulled together into a large piece of lettuce. In a large skillet, brown the ground chicken with garlic powder and salt. In a mixing bowl, whisk together the soy sauce, honey, rice vinegar, minced garlic, ground ginger and crushed red pepper. Stir into the ground chicken over low heat and warm the sauce through. Mix together the cornstarch with equal parts water and swirl it into the sauce. Let simmer for 2 to 3 minutes to thicken. Chop the apples and slice the green onions. 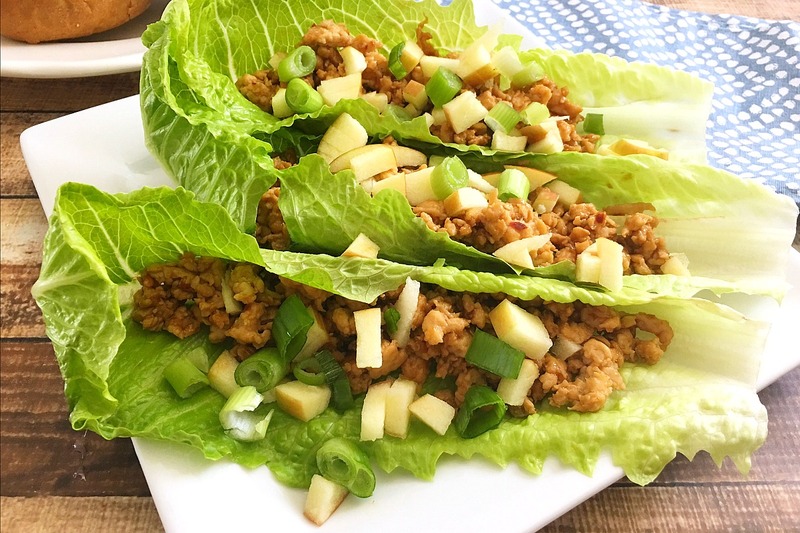 Assemble the lettuce wraps with the chicken mixture topped with chopped apples and sliced green onions. 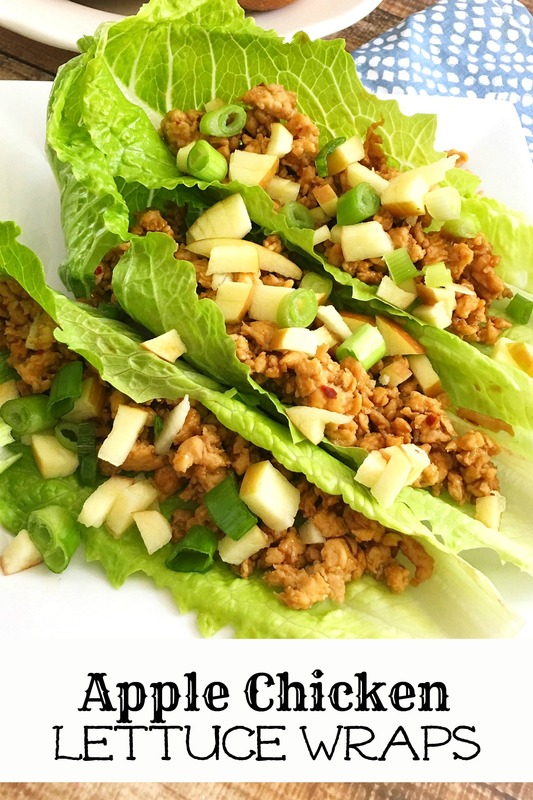 Serve Apple Chicken Lettuce Wraps with fresh veggies. This recipe is featured on Meal Plan Monday #125. Topping the chicken with chopped cashews would also work, since cashews are often added to dishes containing soy sauce.